One of the hardest things about the stroke or neurological injury rehabilitation process is sticking to a consistent routine of exercise. Patients often experience boredom with traditional rehab tools, or they become frustrated because there is no concrete way to determine progress. This often results in giving up, which is exactly what the patient should avoid. Clinical studies have repeatedly shown that consistent, intense rehabilitation sessions of performing as many repetitions as possible is the best way to leverage the brain's neuroplasticity, which is how the brain heals and retrains itself after injury. 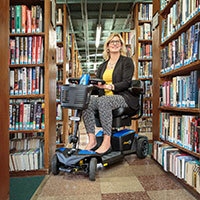 To help patients better achieve these long-range goals, NEOFECT USA has designed a suite of cutting-edge assistive tech. We use state-of-the-art technology in all of our products to create an interactive training program that keeps patients engaged throughout the recovery journey. Also, patient-specific performance information, such as degrees of movement, time spent exercising and repetitions completed, is tracked so the patient can see data-driven improvement over time. The RAPAEL Smart Glove and Smart Board use motion sensors to track the user's movements, which then interacts with training activities on a display. Some activities mimic everyday activities such as cutting vegetables or turning pages in a book, while others are more like games. The Smart Board focuses on shoulder, elbow and reach retraining while the Smart Glove works on movement of the forearm, wrist and hand. 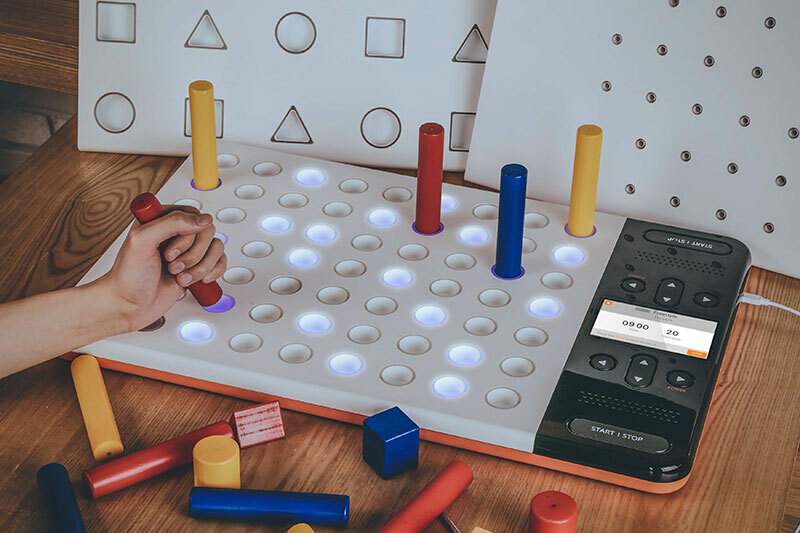 The RAPAEL Smart Pegboard uses lights and sounds to enhance the traditional pegboard experience. With over 15 different exercises that dynamically challenge the patient's memory, fine motor skills and reaction time, we've made sure that no two exercise sessions are the same. The Smart Pegboard has three interchangeable boards that allow the patient to work with large or small pegs, as well as different shaped pieces. Our products also include one-on-one consultations with a NEOFECT occupational therapist to help you get the most out of your RAPAEL Home experience. All you need is an internet connection, a device with a front-facing camera, and a comfortable place at home. We will support you every step of the way. Signing up is as easy as calling us at (650) 389-6085, where someone from our Customer Engagement Team will perform an assessment to find you the best product for your situation. We also have opportunities to try new products as they become available. For more on RAPAREL Home products, please visit www.rapaelhome.com/us/. For more on NEOFECT, visit www.neofect.com/en. You can see the RAPAEL Home products in person at Abilities Expo Los Angeles, February 23-25, 2018 at the Los Angeles Convention Center.